Along the beach on day 229. Pacific Ocean, Queensland. On the move, Gibson Desert, WA. Boots off - day 229. A stop with schoolkids in QLD. The Indian Ocean meets the Pacific Ocean. Termite mounds, northern Simpson Desert. The way ahead, Gibson Desert, WA. Stockmans Hall Of Fame, Longreach, QLD. ..time for a wash at a cattle trough, western Queensland. Where I lay my swag. Afternoon cuppa, West MacDonnell Ranges, NT. Morgan at Durba Hills, WA. These photographs represent the type of scientific & ecological fieldwork that is conducted on ADE surveys. Images are sourced from Andrew's collection and from participants of the surveys. Dr Mike Smith and Andrew Harper examine the findings from a survey dig, 2010. ADE Archaeologist Dr Mike Smith (National Museum of Australia) talks to Ilse Pickherd about stone fragments. Northern Simpson Desert 2010. Taking measurements of the hind leg of a Striped-faced dunnart, 2011. Dr Mike Smith, National Museum of Australia, examines megafauna fossil, Arid Rivers Expedition 2007. 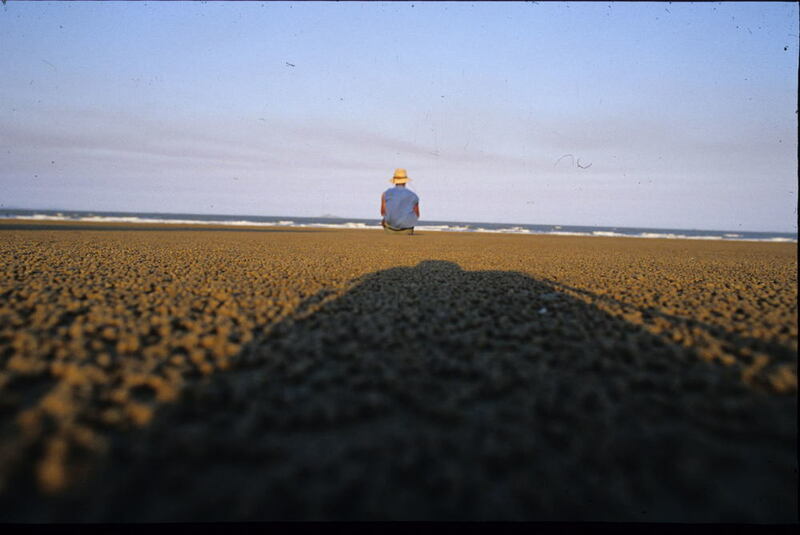 Ecologist Max Tischler catches a Sand Goanna during the ADE Ethabuka Survey, July 2010. 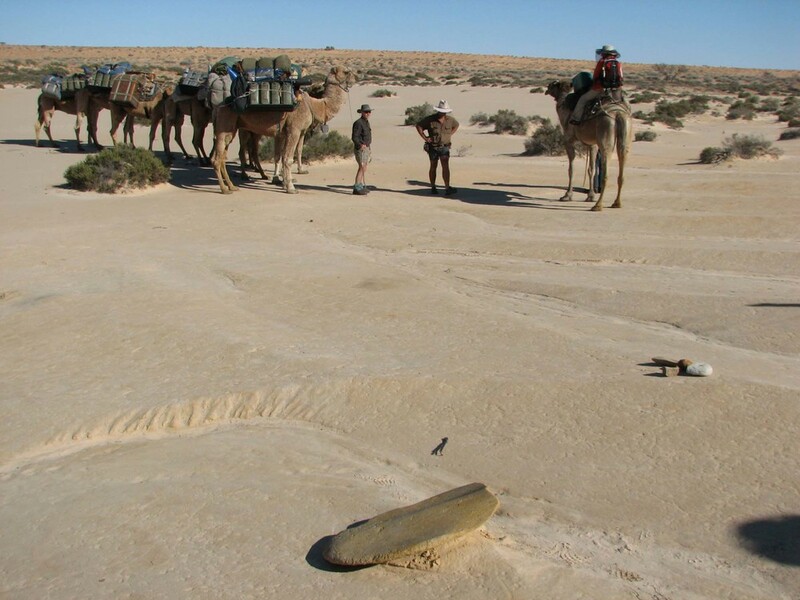 The camel team walks across a small claypan, Arid Rivers Expedition 2007. Collating botanical specimens, Simpson Desert National Park Survey, 2010. Sydney University ecologist George Madani, inspects pitfall traps, 2010. Walking alonside Pulchera Lake, Ethabuka Reserve, 2010. Ecologist George Madani displays a small reptile, 2010. Ecologist Dr Max Tischler collects measurements, 2010. Ecologist Dr Max Tischler with members of the trekking team. Data is collected on all of our mammal & marsupial catches. Collecting data on Pijuri plants, 2010. A line leading to pitfall traps. George Madani exits a newly discoverd cave with a Stimson Python, 2010. 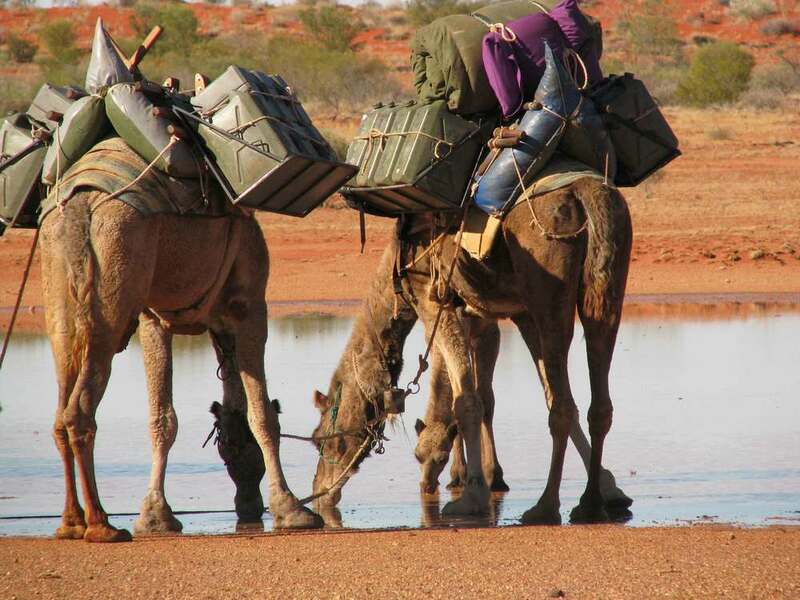 The lush north eastern Simpson Desert after record rainfall, 2010. The lush Simpson Desert, Ethabuka Reserve, 2010. Dr Max Tischler displays a Mulgara. Dr June Ross examines rock paintings, 2010. Archaeologist Dr Mike Smith examines an aboriginal tool factory, 2010. Dr's Philip Jones and Mike Smith examine artefacts. Andrew leads the camel team, 2010. Leading the camels across the muddy Kallakoopah Creek. The expedition doctor examines a fossilised megafauna bone. The ecology team taking a break. Kopi Caps, Simpson Desert Archaeology Expedition 2008. 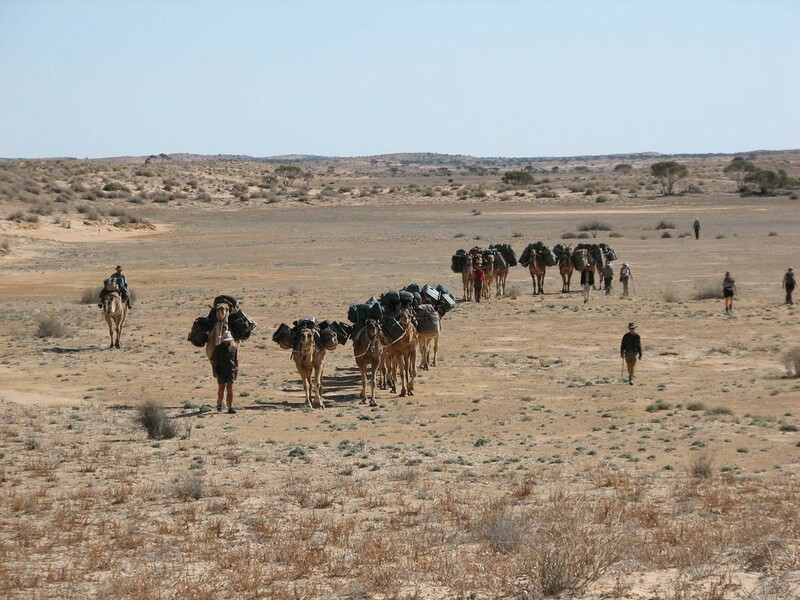 On the move, eastern Simpson Desert Archaeology Expedition 2008. Tracks in the white desert sands. Landscape along the Kallakoopah Creek. Along the Kallakoopah Creek, Arid Rivers Expedition. Collecting plant specimens and dingo skulls. Kallakoopah Creek, Arid Rivers Expedition. Typical camp on the Arid Rivers Expedition. Leading the camels across a small salt lake.